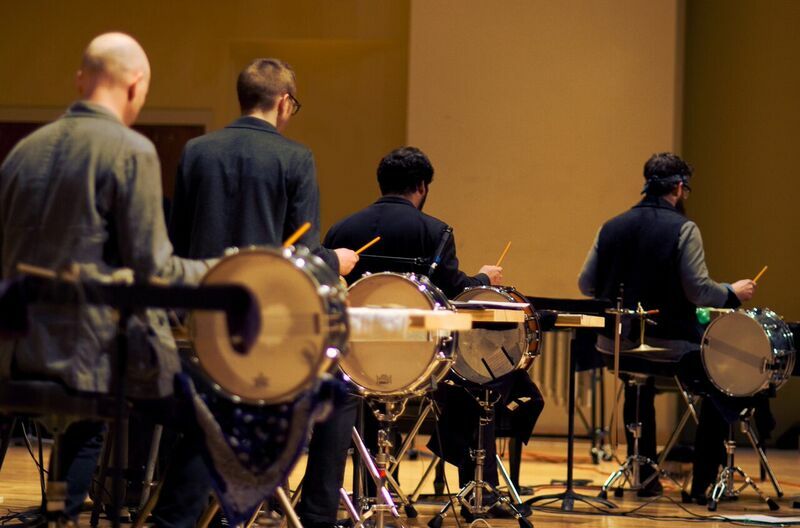 For the past four years, Sō Percussion has been researching our newest theatrical work entitled “A Gun Show.” Initially spurred by the horrific Sandy Hook shootings in Newtown, CT, they wanted to find some way to process their feelings and impressions about the epidemic of mass shootings in the USA, as well as gun culture in general. Sō has started a blog in collaboration with OS Managing Editor, artist and writer Lynne DeSilva-Johnson to collect stories about people’s relationship to gun culture, gun violence, or any of the many issues that surround and attach themselves to guns. In addition, a vital new partnership has been forged between So Percussion, BAM, the Operating System (the org/press I run) and the good people at StoryCorps who are supporting our efforts in community gathering of stories / interviews around the role of the GUN in life / imagination / culture with this dedicated “community” at their site. Please join us in lending your voice to the archive! We’d love for you to take this call for community stories into your own communities, classrooms, etc — don’t hesitate to contact us with any questions. Throughout the process of developing this piece, the complexity of the issue started to spin and unravel as we delved deeper. The purpose of these stories is not to advance any particular political agenda or point of view. However, they will help us to have a broader, deeper perspective into this complex topic as we engage with the public on the stage and in the classroom, as well as in the book (forthcoming from The Operating System) which will serve as a document of this piece and process. Together with the members of Sō Percussion, the OS is now opening up an invitation to the broader community — asking people to tell their own stories, from their own perspective. Together with the members of Sō Percussion, the OS is now opening up an invitation to the broader community — asking people to tell their own stories, from their own perspective. Some may be from folks who own guns and enjoy them as an everyday part of life for hobby, sport, or hunting. Others may have had traumatic experiences that they feel would help others to know about. Still others may have stories about issues attached to guns, such as racial injustice. You can begin to read the stories we have begun to gather on the blog — you’ll note that some contributors have chosen to be anonymous, which you are welcome to do, as well, if you feel more comfortable. We want as much diversity in points of view and experience as possible. We feel that too often the conversation around guns and gun violence is binary, simplified, and reductive. Opening up some space for dialogue is urgently needed, and that begins by listening to each other. 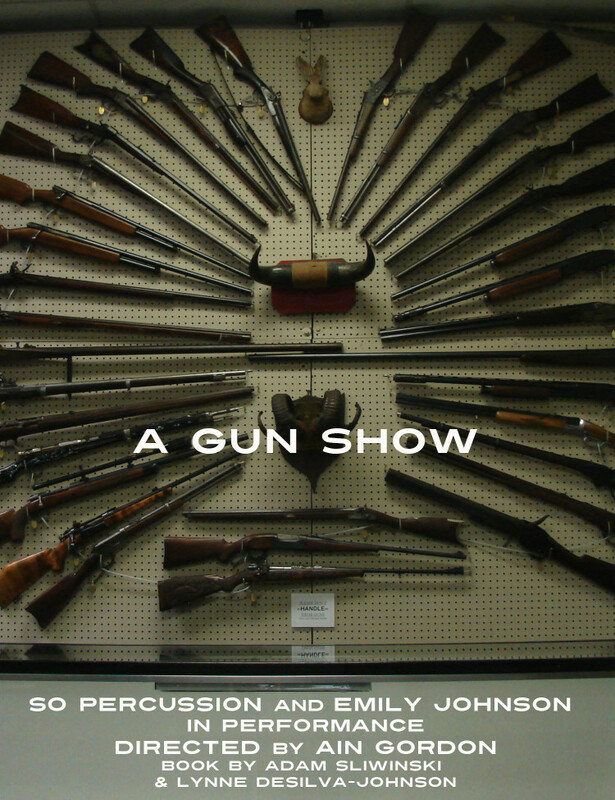 If you’d like to contribute to this project, email us at gunstories@sopercussion.com. Was gun culture a natural and accepted part of your life growing up? Have you are anybody in your family suffered the effects of gun violence in a way that would be beneficial to share with others? Do you want to write about how the issue affects you on a personal level? For instance, we created this show partially to process our feelings about the Sandy Hook shooting. Have you felt like a silent and powerless bystander while these horrors unfold in our society, and is that something you’d feel compelled to share? Do you have opinions and experiences that inform how other subjects intersect with guns? An example might be racial injustice, or the concept of “rights” and the second amendment of the constitution. If you have a military history, does your use and training affect your feelings about private gun ownership or usage? We’re accepting submissions as both written essays and audio files. You could just talk for five minutes and send the recording along (the iPhone Voice Recorder makes it easy). It could be any length, and about any aspect of the issue. If you’d like more guidance about what we’re looking for, we’d be happy to correspond with you. We have no idea how much of a response we’ll get to this, so it’s possible that we won’t be able to publish every story if there are a lot of submissions. We are fine with publishing stories as anonymous or under pseudonym, but we’ll need to privately verify your identity when we correspond (i.e. not completely anonymous submissions).